Recently in consultation, something was mentioned in passing that I had not heard in a while. While explaining our process to a bride, she made the remark that some of her friends had scoffed at the idea of hiring a stationer for her wedding. In fact, they suggested to her that she should, instead, just buy some paper and take care of it herself. While I was that bride who did exactly that (see our origin story here), here are 3 Top Reasons to hire a stationer for your big day. There are lots of trends, rules of etiquette, and options I can guide clients through because of my experience in providing this service to many brides. Just like everyone turns to their favorite Food Network Chef for the best stuffing recipe for Thanksgiving, you need someone in your corner who will help you make sending out your invitations easy and fun. It is always my hope that planning your wedding is the first and last time you will have to plan your own wedding. With this being your first time in the rodeo, it's not mine. 😉 I have a few tricks and methods up my sleeve that will make sending out your invitations much simpler. Based on your individual needs for your wedding, I can also guide you to wording, font choices, and suite pieces that will help your guests get all the information they may need to know more about your big day. There are aspects of my business that I delegate to other people. Why? Because I know that I have no idea how to handle this task and need to trust someone who has more experience and knowledge. This gives me more time to handle other aspects of my business that I know I can handle and, quite frankly, wouldn't entrust anyone to do. The same thing goes for planning your wedding. If there is an aspect of your wedding day you need to delegate or have no idea how to do, you should entrust someone else to do it. Someone, I may add, who preferably has provided the service more than a just "few times". You want to know that they have been in business for some time and have more than 10 weddings under their belt. I've heard too many horror stories that because of a tight budget, someone hired the wrong "professional" and regretted it later. So before you go pin crazy on Pinterest to figure out what are #allthedetails you can do yourself, sit down and plan what exactly you would like to delegate to a professional. 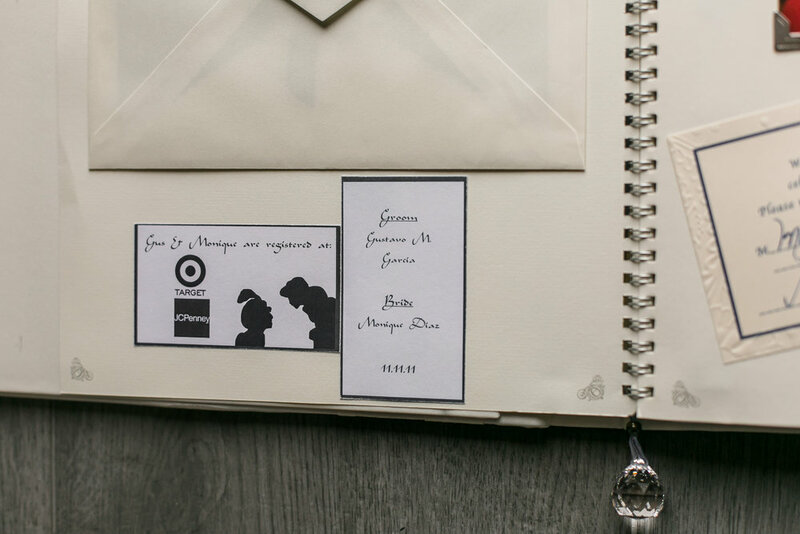 You may find that you will want to design your invitations on your own. That's fine, however, follow this rule from Martha Stewart, "Never try to make a Thanksgiving dish for the first time on Thanksgiving Day. Make it a few days ahead to work out the kinks or pick an alternative dish to take." I learned a lot of what not to do with my own invitation experience. 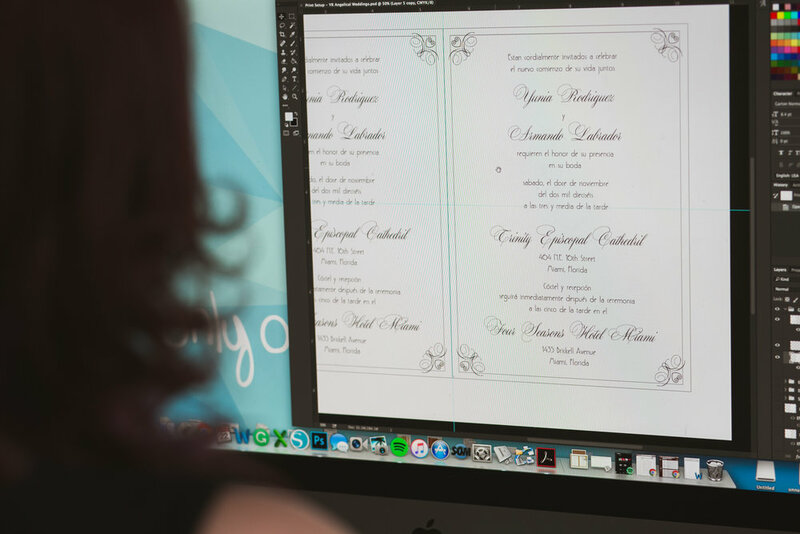 Want to know more about my process and how I can help you make designing and sending out your wedding invitations? Click the image below to get started. After meeting Charisma O'Keefe at the Your Story Workshop last year, I began listening to the podcast and got to listen to different topics discussed by herself, Angelica Yarde, and other women who talk about business and life. I was honored to be asked to join them for a recent episode discussing the evolution of my business, becoming a mom-preneur, and plans for Only One Mark's future. Click the button below to listen to the episode. With the ever changing world we live in, it seems like the next technological advance is almost seconds away from being discovered. One of the latest items to affect the wedding and event game is the introduction of the Digital RSVP. In this new age of managing your schedule through your ever useful smart phone, it was just only a matter of time that digital Invitations and RSVPs would hit the market promising a cheaper way to afford one of the most important details for your special event. While I’m totally up for not breaking the bank for your big day or special life time event, but here are a few points I would like to make about digital RSVPs and Invites. 📧 Digital Invitations are great for INFORMAL Events. Having a backyard BBQ or small get together is in no way shape or form a time to break out the paper and send out paper invitations, especially if they are last minute (although you totally could if you really wanted to 😉😊). There are some great sites that will provide designs as well as a system to include all of the attendees emails. They are even known to collect an RSVP count and even request quests to pick from a list and confirm what they will be bringing to contribute to your shindig. But I would only suggest using these for an informal event. Not for a lifetime event like a wedding, baby shower, birthday, etc. 📬 Snail Mail still gets folks excited. If you don’t want to are my word for it, check out this segment of After Elvis once he received his invite to the Grammys this year. While it is totally up to you whether to send out a digital invitation for your big event, I would consider the following if you are going to receive RSVPs digitally. Make sure your site to RSVP is password protected. The last thing you want is the link to your site being posted and folks inviting themselves to your special event. If you are budget conscious and limited on seats for the party, make sure your site can limit the amount of RSVPs per guest. Similar to the note above, you want to make sure folks don't go nuts adding their friends and family who weren't intentionally invited by you. 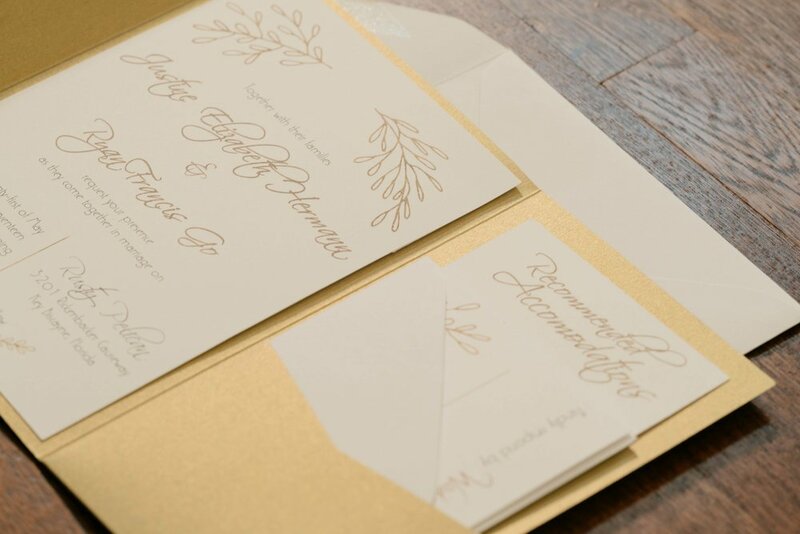 Still make paper RSVPs available for older guests so they feel included in their own way. Although I have known a few grandmas to be super tech savvy, not all older family members may know how to go online. Also consider that as we get older in age, we are creatures of habit and prefer to do things the way that we have always done them. Another point to be made is that little by little, older folks are stripped from actions that they used to do every day because of their age or health barriers. Making it a point to at least include a few paper RSVPs for these family members will make them feel included as well as special because you made it a point to make them feel included. What do you think about this new way to RSVP for events? Comment below!